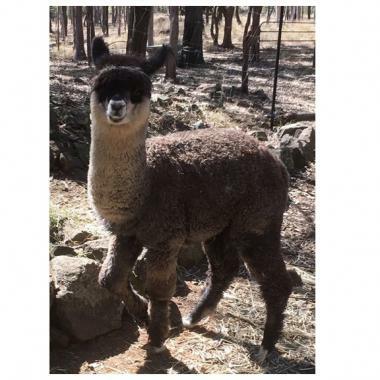 Zorro - and you can guess where his name came from - is a 18 month old gray alpaca wether (neutered boy). He is a lovely small boy that doesn't mind a cuddle. He is registered and fully vaccinated.